Please note: The following information has been prepared for your convenience only. 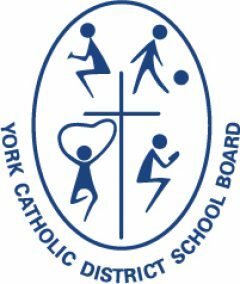 Individuals wishing to run for the office of trustee for the York Catholic District School Board should refer directly to the Municipal Elections Act, 1996 and the Education Act for accurate information on specific provisions and additional details. These documents are available from Publications Ontario (1-800-668-9938). Any questions regarding local government elections can be directed to your local municipal clerk. The term of office is four years, beginning on December 1 after the election. The term of office for a person filling a vacancy is the remainder of the term for that office. Nomination papers may be filed on or before nomination day, Friday, July 27, 2018, at the office of your local municipal clerk. Obtain nomination papers (Form 1) from your local municipal clerk. Bring your completed and signed nomination papers to the municipal clerk’s office on or before nomination day. The prescribed nomination filing fee (cash, certified cheque or money order, payable to the local municipality) must be paid at the time of filing. A candidate is entitled to a refund of the filing fee if he or she is elected, receives two per cent of the votes cast for the office or withdraws from the nomination. A nomination paper may be filed in person or by an agent. The Municipal Elections Act, 1996 prohibits any election document to be filed by fax. The municipal clerk will certify or reject your nomination paper. You may be required to show proof of your identity and qualifications prior to certification.